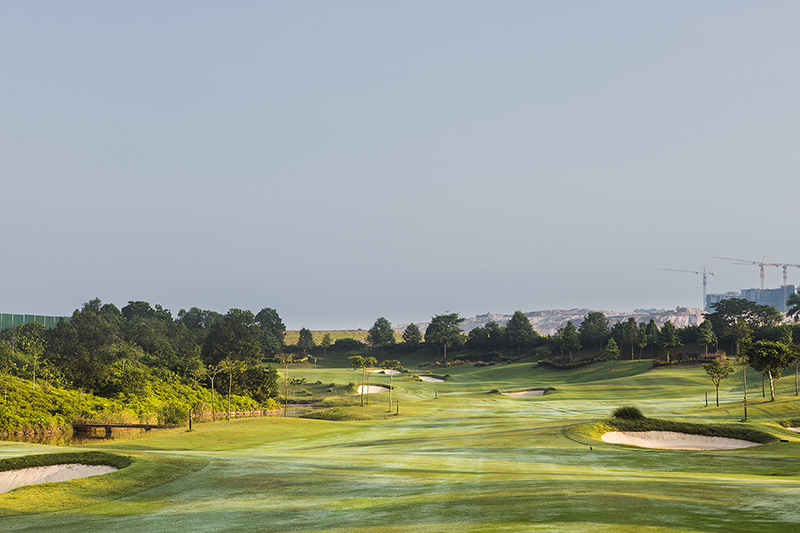 The first thing that comes to mind when you make it onto the teebox is ‘where am I going to land my tee shot …?’ The landing area appears filled with a myriad of bunkers forcing the average hitter to lay up with a three-wood. 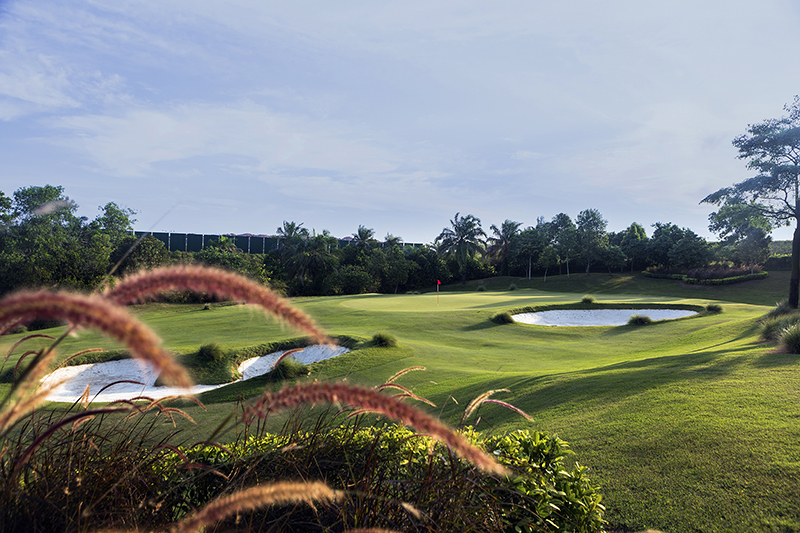 The long hitter will try and carry the right-hand bunkers or aim more right towards the light rough, bearing in mind the lateral water hazard way left. There is little demand on the second shot but fairway bunkers may come into play. The approach shot to the green is when you will need accuracy and holding the right club due to the longish green which is heavily guarded on the right by deep bunkers. Putting here can be fun, depending on how you look at it.